From an early age, it was apparent that Sri Sri Ravi Shankar was destined to lead a spiritual life - even as a very young child, he was often found absorbed in meditation. At the age of four, his parents were surprised to discover him spontaneously reciting the Bhagavad Gita. Later on, in school, he would tell his friends, “People are waiting for me all over the world. I am going to visit them one day. 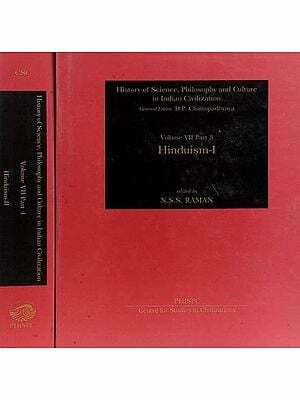 By the age of seventeen he had completed his traditional education in both Vedic literature and modern science. In 1982, Sri Sri began to teach the Sudarshan Kriya, a powerful breathing technique which eliminates stress and brings one completely into the present moment. Today this programme is taught in over 130 countries as part of the Art of Living course. Millions of people around the world have experienced physical and emotional healing from these programmes which eliminate stress and create a sense of belonging. Re is the founder of the Art of Living Foundation, a United Nations NGO, and is the inspiration behind numerous charitable organizations focused on service and the promotion of human values. “We have no objection to taking food from every part of the world and listening to music from every part of the world. When it comes to going to a doctor we want the best doctor, regardless of race or nationality; we want the best teachers, drivers, cooks. 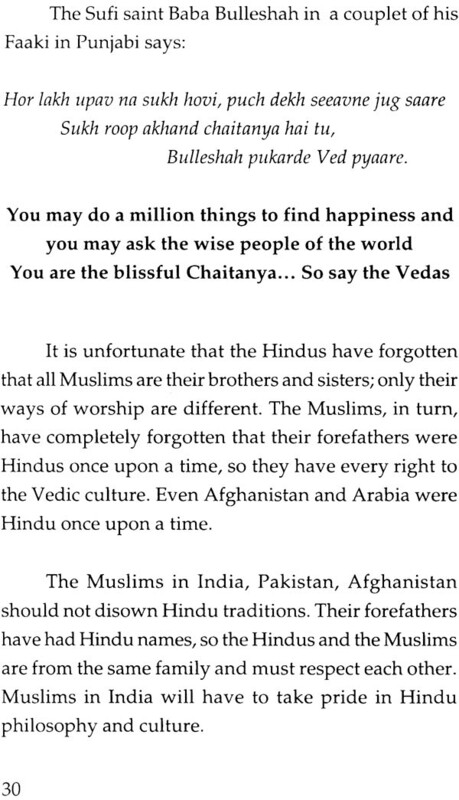 Why can’t we take the best from every religion and make it our own? We need to globalize wisdom too! 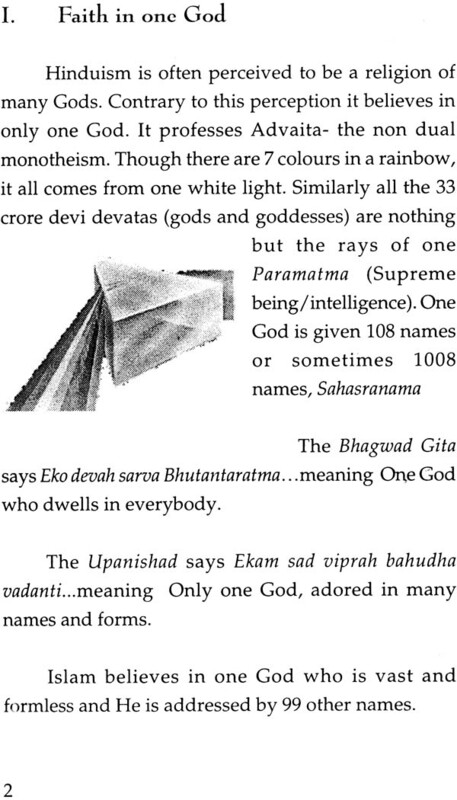 - Sri Sri Ravishankar. 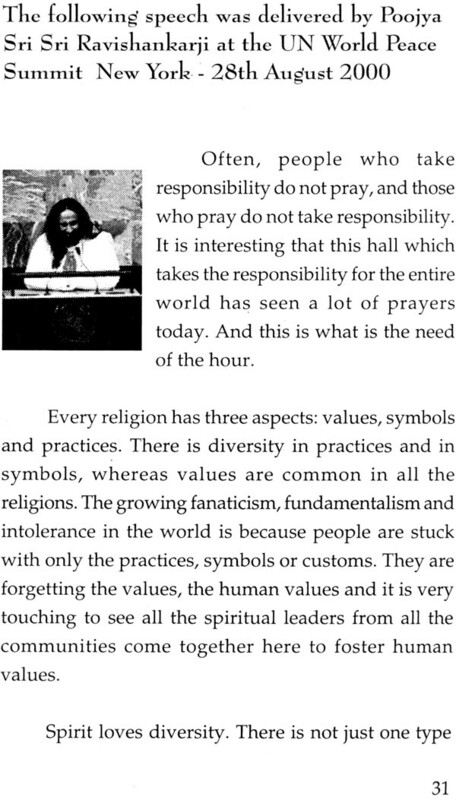 In His unceasing effort to bring different communities and cultures together Sri Sri (as He is lovingly called) has given a series of talks shedding light on various aspects of religious practice, helping us to find a large number of commonalities hitherto unexplored. 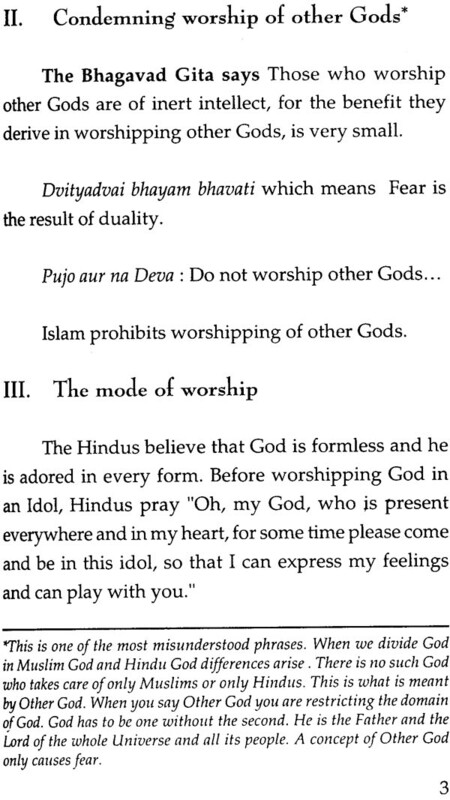 Today Hindus are accused of meaningless rituals and practices of innumerable gods and goddesses, while Islam bears the brand of fanaticism and intolerance. This book aims to open up the, minds of people to share common good.